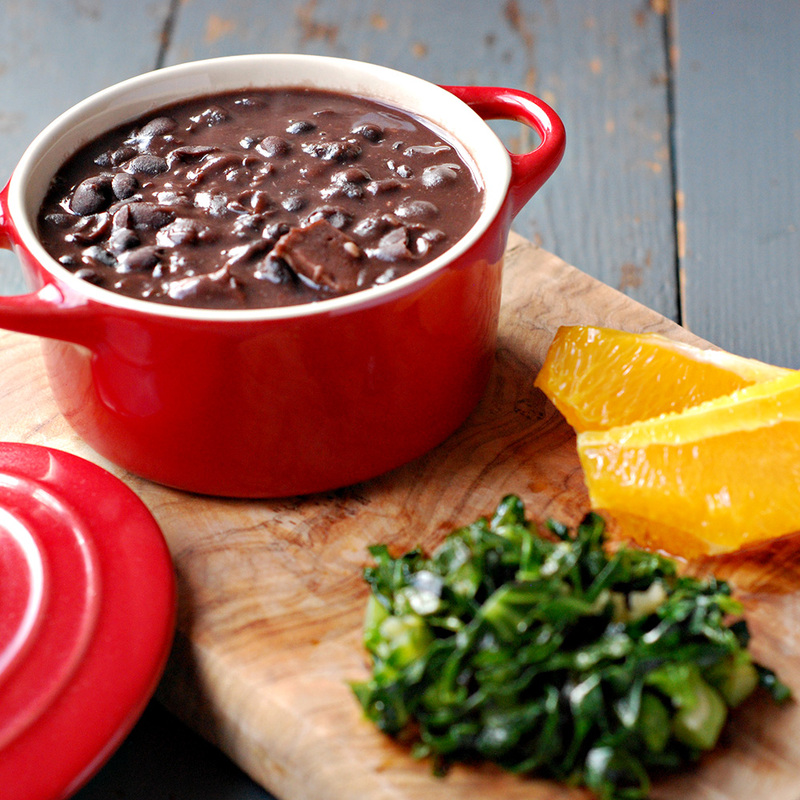 Feijoada is by far the most traditional dish of Brazil, it has as many ways to do it as there are cooks but here is how I do it. You can cook the beans on a pressure cooker for 30 minutes but I don’t think you get the same result as if you slow cook it. This is a hearty, rich and ridiculously delicious dish and I do hope you enjoy it as much as we do. Wash the beans and leave it on a big bowl immersed in water overnight. On a big pan, pour boiling water over the black beans and bay leafs and slow cook it for 2-3 hours. You should have two times more water than beans, pour more boiling water every now and then to maintain the same level of water. When the beans are soft and you can easily crush it, fry 2/3 of the garlic, add two scoops of beans (without water) and add the salt. Crush the beans until you get a thick paste. Pour the paste back to the pan, add the tofu, turn the fire down and let it cook for 1:30 hours. At this stage stop adding water and let it simmer until the liquid thickens. Just before serving it, fry the rest of the garlic on olive oil and cook the spring green until it loses all its water. Serve the black beans with rice, spring green, orange and a vinaigrette sauce and, if you manage to get hold of it, some Brazilian farofa.